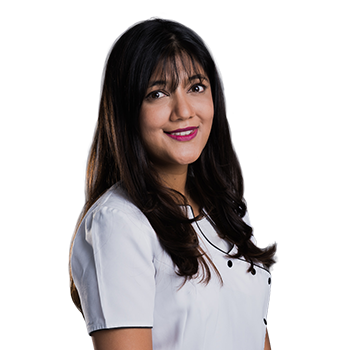 We are very happy to welcome back Dr Akshee (Ash) Shah as she returns to Anchorage Dental Care on a regular weekly basis. Ash has been with Anchorage Dental Care for the last seven years, and because she understands that visiting a dentist can be an anxious experience for some people she focuses on nurturing a trusting relationship with each patient. With a passion for art and physiology Ash felt Dentistry was the natural choice for her. She completed a Bachelor of Dental Science at the University Of Queensland, graduating with First Class Honours in 2010. During her studies Ash focused on periodontology, and this led to one of her special areas of interest being the prevention and treatment of gum disease. Committed to the furthering of her education, Ash is currently undertaking the study of Comprehensive Othodontics at the International Academy of Advanced Dentistry (IAADent), and she is also a member of the Women in Dentistry Association (WA) for continuing professional development. Ash has always been an advocate for children’s dentistry and spent time in Africa running an oral hygiene education program for children in Cambodia, and a dental camp for children in Mozambique. Back on Australian soil, Ash continues to support local charity organisations, and is actively engaged with the Edmund Rice Centre. With a gentle touch for children and adults alike, Ash looks forward to providing your whole family with a professional, caring dental service at Anchorage Dental Care and maintaining the smiles of future generations.